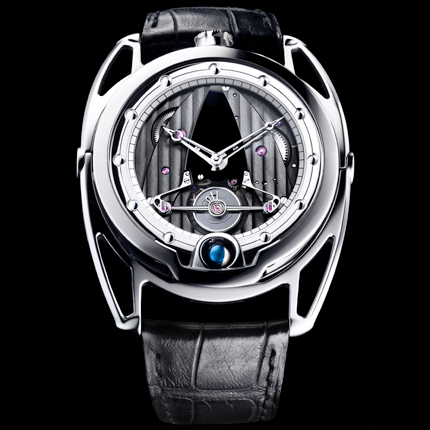 The 2011 Aiguille d’Or Grand Prix has just been awarded to De Bethune for its DB28 at the 11th Geneva Watchmaking Grand Prix (GPHG) on Saturday 19 November. The Grand Prix was founded in 2001 by the Geneva Watchmaking Grand Prix Foundation and the Banque Privée Edmond de Rothschild to celebrate and recognise horological excellence. You can read about the nominated watches, which included Australia’s own Eva Leube, here. 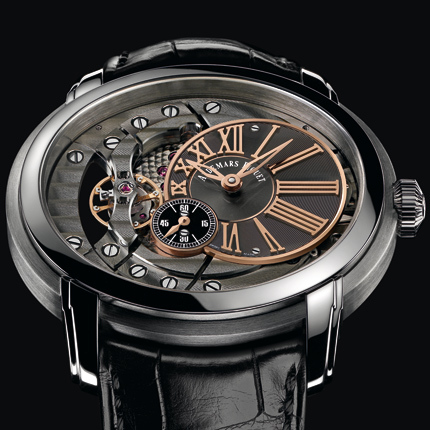 The public prize, awarded by visitors to the exhibition and voters on the World Tempus and GPHG, went to Audemars Piguet’s Millenary 4101. All the prize winners and nominated watches will be exhibited at the Salon International de l’Horlogerie de Prestige Belles Montres at the Carrousel du Louvre from November 24th to 27th. Available in four iterations (reference DB28TIS8 with the titanium case, black dial, and titanium floating lugs is 87’000 CHF), more information about this year’s winner can be found here.